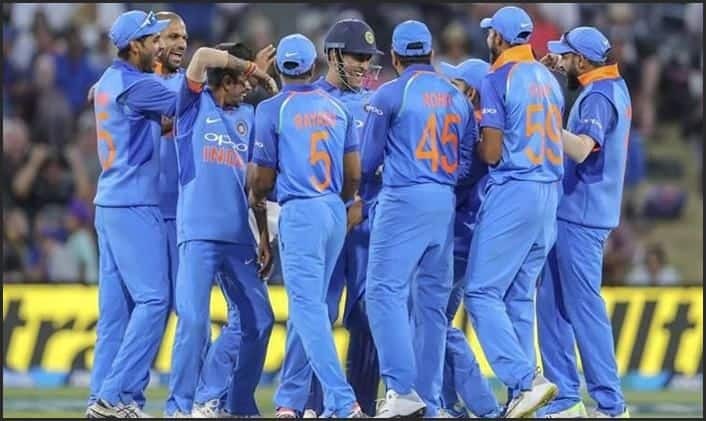 The Men in Blue will now aim to make amends for a lowly performance which also be boosted by the return of Mahendra Singh Dhoni as they aim to finish the five-match series against New Zealand with a 4-1 triumph. Team India were at the end of a thumping defeat by the hosts on Thursday following an incisive display of swing bowling in challenging conditions. The Men in Blue will now aim to make amends for a lowly performance which also be boosted by the return of Mahendra Singh Dhoni as they aim to finish the five-match series against New Zealand with a 4-1 triumph at the Basin Reserve in Wellington. India’s most experienced ODI player was out with hamstring injury during last two matches and his return couldn’t have been timed better after their inexplicable collapse for 92 in Hamilton. The windy condition here could just be the shot that Trent Boult would need as he again marks his run-up. And that’s where Dhoni’s presence will be a factor in that middle order which still isn’t rock solid if skipper Virat Kohli isn’t around. Assistant coach Sanjay Bangar confirmed that Dhoni is fit and available for the game. Dhoni’s calmness in anchoring the innings will be priceless and young Shubman Gill might make the way in the playing XI as the World Cup preparations hit full swing. The Hamilton match was an eye opener where Ambati Rayudu, Kedar Jadhav and Dinesh Karthik failed to prove a point that they can stand up and be counted if Rohit Sharma and Shikhar Dhawan fail on a given day with Kohli also not around. When is the India vs New Zealand 5th ODI? The India vs New Zealand 5th ODI will be played on February 3, 2019. Where will the India vs New Zealand 5th ODI be played? The India vs New Zealand 5th ODI will be played at the Westpac Stadium, Wellington. What time does the India vs New Zealand 5th ODI begin? The India vs New Zealand 5th ODI will begin at 7:30 AM IST. Which TV channels will broadcast the India vs New Zealand 5th ODI? The India vs New Zealand 5th ODI will be telecast on the Star Sports Network. How do I watch the live streaming of the India vs New Zealand 5th ODI?